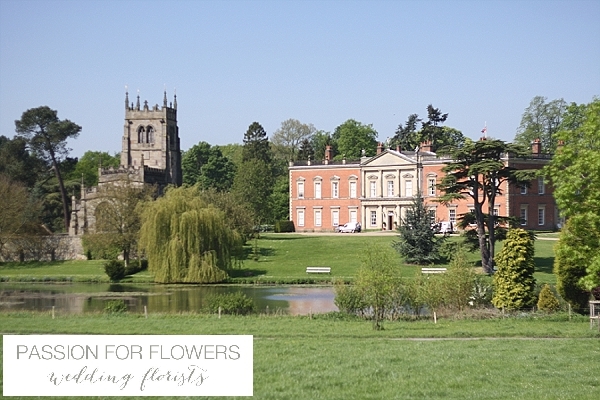 Staunton Harold is a privately owned stately home based in Leicestershire. 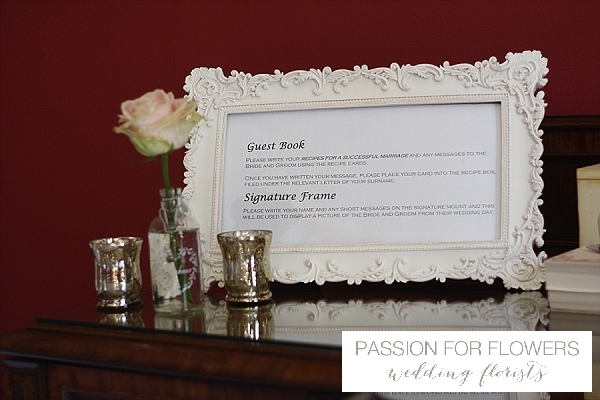 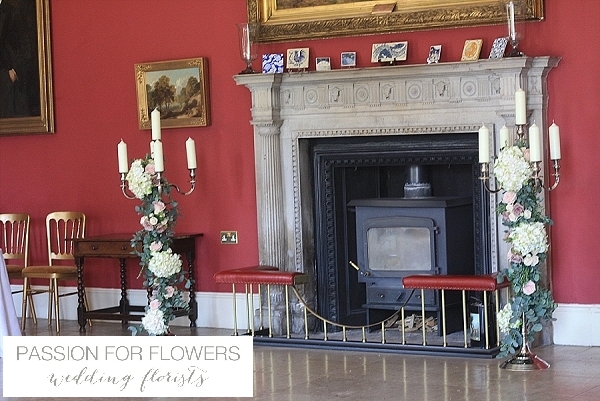 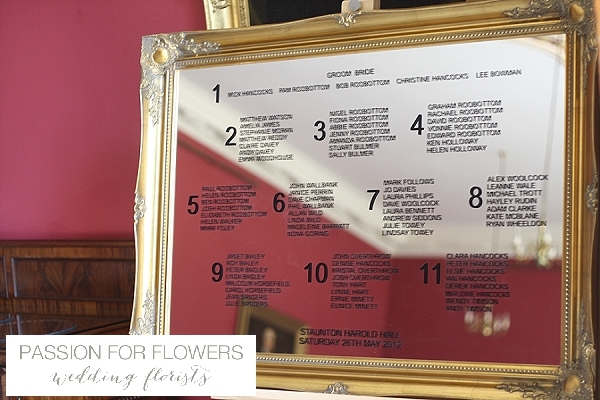 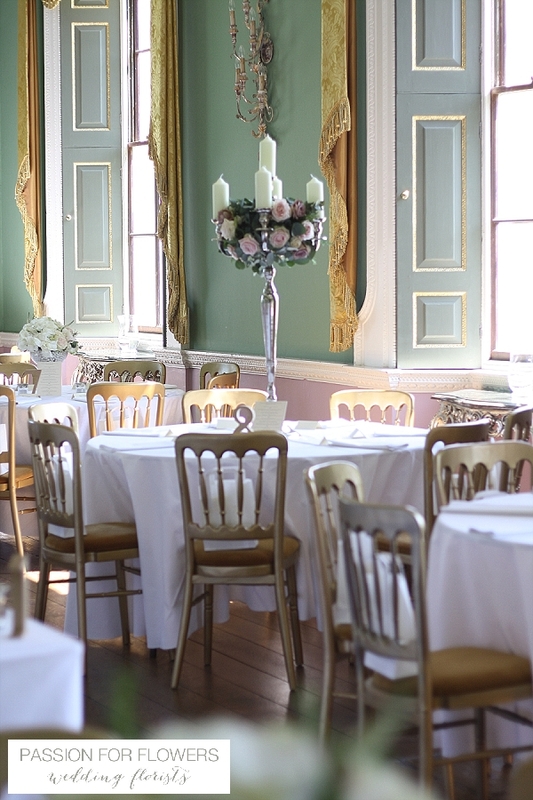 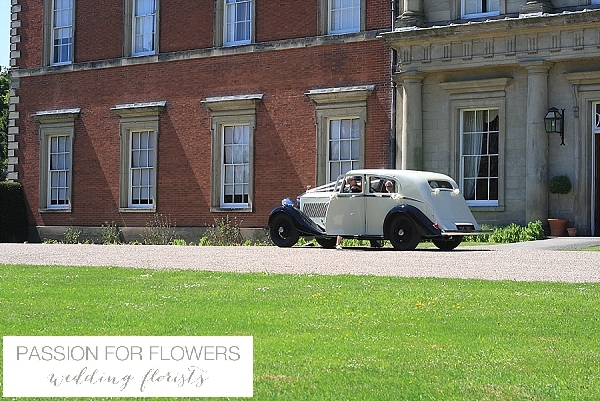 Passion for Flowers have enjoyed designing wedding flowers to complement this stunning wedding venue. 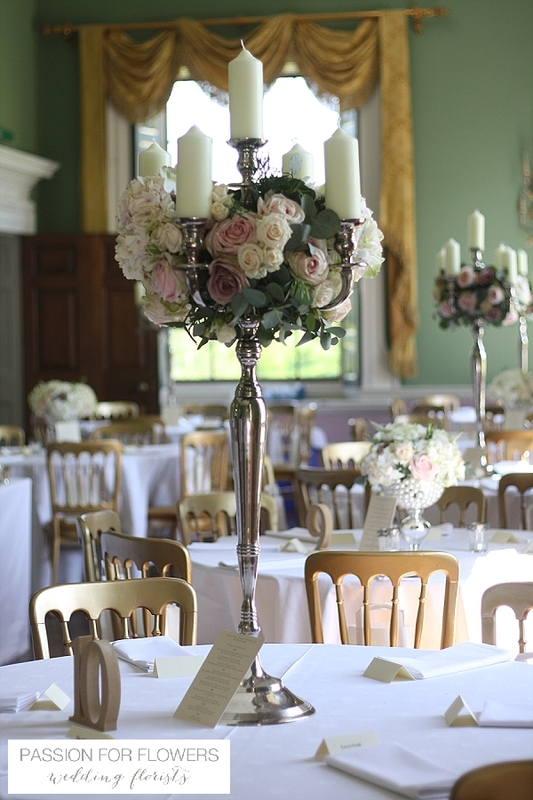 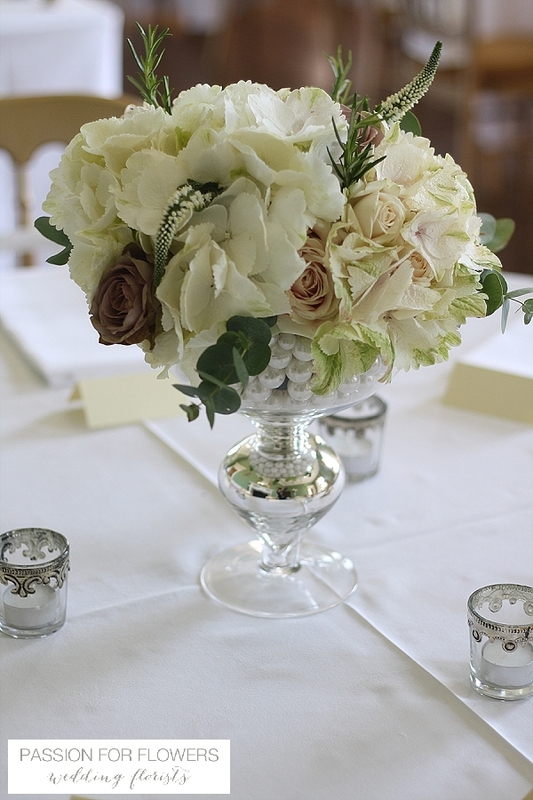 At Staunton Harold we have used striking 1m high silver candelabra with a mix of dusky pink roses and hydrangeas on half of the tables while using lower footed bowls filled with a similar mix of flowers on others to give a variation in heights. 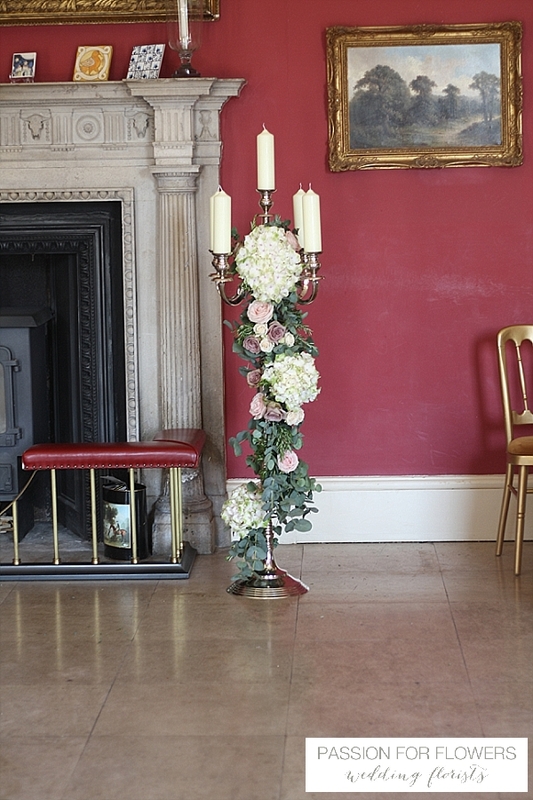 The bride and groom had their first dance in the grand entrance hall, our elegant 5′ high silver candelabra with flowers trailing to the floor created the perfect romantic backdrop. 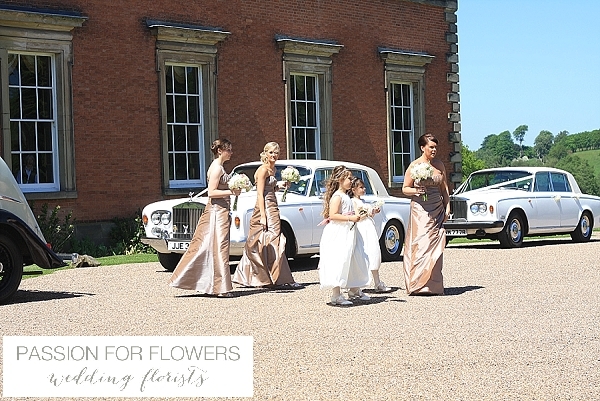 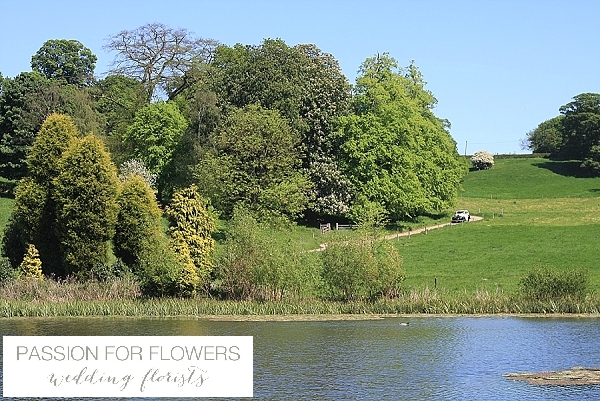 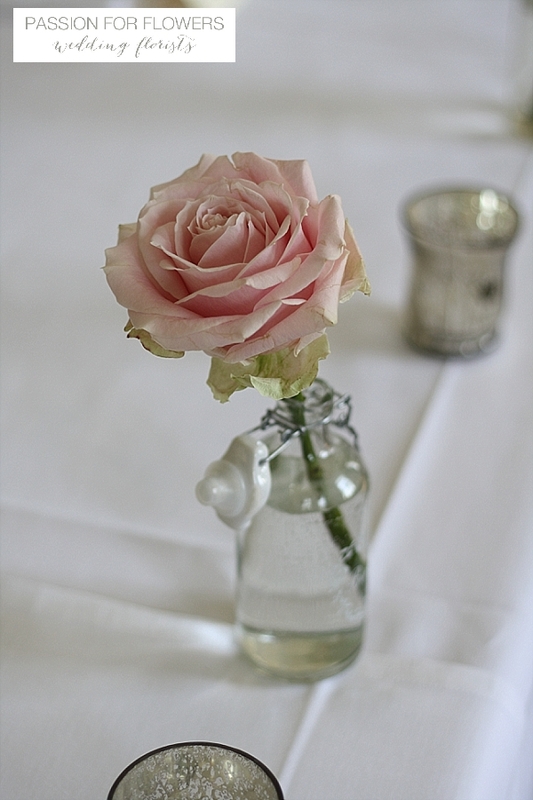 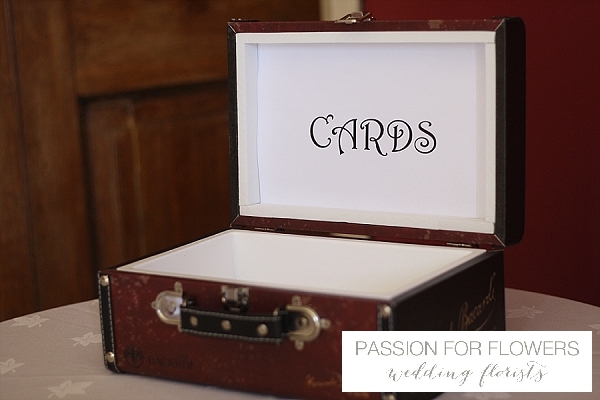 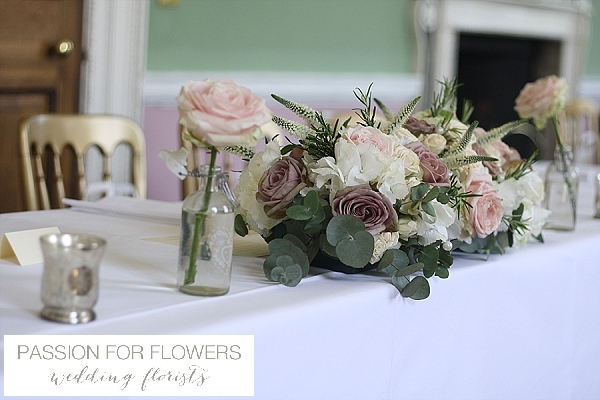 If you are looking for a wedding florist for your Staunton Harold wedding please get in touch, we would love to discuss your ideas with you.